May 2015 - Ultra International B.V.Ultra International B.V.
We are fast approaching the European summer months and watching with much anticipation how current conditions are evolving. Will it be a good season all round or will there be the usual twists and turns that we have come to expect? We will try to keep you informed with regular updates on this website about market developments and their potential impact. Elsewhere we have made assessments on the lemon crops in Argentina, Italy, Spain and South Africa as well as Russian coriander seed and Indonesian patchouli to name but a few, in addition to our market updates from around the world on all our regular products. Some harvesting has commenced and the market has offers from producers but at higher than anticipated prices. As suggested in our Spring Market Report the impact of the Argentinian crop is not driving down market prices leading to a little more scepticism about where prices will end. As European prices continue to rise slowly prices from Argentina remain in line with their European counterparts. All crop indications are pointing to a good season (compared with 2014) with an approximate 85% recovery in volume. Recent investments in a new boiler at Australia’s only producer has allowed for an increase in production to meet with the growing demands of the market. This expansion should give more stability to the product as it reaches a larger global audience. Production is stable along with prices as interests continue to develop in a variety of end-user markets. Meanwhile on-going projects are afoot to allow for a broader expansion in capacity, which could in turn bring its own new economies of scale. 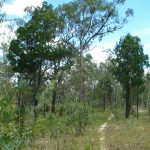 There is a narrowing price gap between Australia’s new ‘Indian’ type sandalwood and the native Western Australian material, which is largely driven and controlled by one producer. Prices for Santalum album have fallen as volumes start to increase and the economics of production improve, although it is more than likely that this is due to increased competition on the horizon. It is fair to say that whatever the reason for the lower prices, they create greater opportunities for existing users to consider switching to this more sustainable supply option and away from the traditional Indian and Sri Lankan origins. As previously reported, there are vast amounts of plantation wood coming online in the coming months and years, coupled with new oil producers, which should soon turn the dynamics of this market in favour of the buyer. The market remains starved of oil and is reaching a critical point, perhaps leading many to consider whether they can keep this product as part of their long-term portfolio. Prices have risen beyond the historic rise of 10% per annum to reach new heights, largely due to the distribution monopoly in the market. This has attracted the attention of the local authorities and may lead to changes in the distribution channels before the planned review date of 2016. 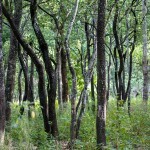 It should be stressed that the current problems are considered short-term as newer plantation wood becomes available with new producers close to being able to offer fresh material. This, along with possible changes in the wood distribution channels, should ensure that before the end of 2015 supplies are more readily available, which will help ease tensions and bring market prices back to more competitive levels. There have been few reports of any crop damage following some poor weather conditions in New South Wales in April, and some producers are reporting healthier than usual conditions for this time of year. Harvesting for the 2015 season will start during May with the first oil available mid-June. At this stage it is expected that total production in Australia will reach 500 MT, a small increase that is in-line with global demand patterns. Brazilian lime sales remained on course at similar levels to 2014 but improved during April as Mexico’s output was reduced due to localised storms. On a similar note, Brazil suffered from drought earlier in the year, which reduced output opportunities but this has improved because of good rains in recent weeks. Prices are expected to remain stable until late June when production ends and reduced volumes are likely to lead to a premium (depending on the performance of other origins). Forecasts for the 2015/16 crop are bad news for anyone still looking to cover material for this year. 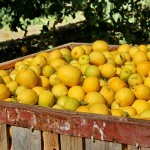 Initial suggestions claim there will be 20% less fruit compared with last season with 240-250 million boxes available. In addition there are few carryover stocks at origin. This, coupled with the low expectations for the coming season, is contributing to fresh fruit price increases of around 60%. It still remains a little early to fully assess how the 2015 crop will perform, although many farmers are reporting that everything is normal at this stage. The Eastern European winter was mild and, short of any unexpected negative changes, we anticipate a crop closer to the 2013 level of 120 MT rather than the 85 MT produced in 2014. There remains a limited amount of material available in today’s market and suggestions are for very little carryover stock with most major users. This will keep upward pressure on the market even into the new season starting in August as demand is expected to be higher than usual. There appears to be no material remaining at origin but markets remain quiet, as they can typically be at this time of year. The crops are in a reasonable condition after the mild winter and the outlook remains positive for a typical crop in 2015. More details are expected over the coming weeks and our team will be in Bulgaria early June to evaluate the situation ourselves. Current prices remain low after the price fall earlier in the year but, as with everything from China, this trend will not last as a supply-demand readjustment is imminent. It is understood that in the Guangxi Province many farmers have opted to switch to faster growing, more profitable plantations as cassia crude oil prices become too low to be sustainable. This is likely to reduce output for the year, which may fix the current over-supply situation, returning prices back to their more traditional levels. However, for now they remain low and could fall further before the predicted supply imbalance is felt by the market. 2015 production is expected to be around 380-400 MT, around 10% less than 2014. Supplies remain limited and we are still a few months away from the start of the crop season. As a result prices are rising especially as global demand also appears to be growing. The markets are a little confused at the moment as both output and demand have dropped in recent months. If demand returns then there is little crude oil available until June when new season material becomes available. Today farmers’ costs are higher than the selling price, which would suggest that prices are likely to rise soon. However if demand remains weak this may not be seen in the short-term but if demand returns, prices could jump quickly. Current prices are slightly below last year’s average and given the possible uncertainties in future pricing it may not be a bad time to try and book your next few months’ requirements now. As we mentioned in April, garlic oil prices look set to rise further as output is reduced. Inflation, labour and general production costs continue to rise and put pressure on this product. Additional tighter controls on distillation (due to the odour) enforced by the government are also impacting production costs and prices. Furthermore prices of raw material have increased significantly since March and although market prices have not followed quite as dramatically, they are most likely to do so in the second half of 2015. May sees the start of the new harvest and in anticipation of a good crop market prices started to fall. Prices from China have been unreasonably high in comparison to other origins over the past 6-9 months but are expected to continue to drop as more material comes available. How far they will go down is the next question. Time will tell. The Chinese have been vocal earlier than usual trying to gauge interest in the 2015 crops, which are expected to be poor. Today global market prices are reasonably firm but Chinese producers are indicating price increases near to 20% on what we see today. Over recent years China’s output has been falling with repeatedly bad weather around April and May. This year hasn’t been any different and a large snowfall in early April damaged or destroyed much of the crop in Xinjiang Province. As a result, China’s net output is likely to be 30% less than in 2014. The market is fairly settled at the moment as demand slows along with production. New season material will be available in August and it is hoped that this will add a little price relief to today’s levels. Some reports emerging in recent weeks suggest that China’s output will increase this year compared with 2014, although it is not expected to have any major impact on pricing. 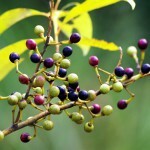 There will be a limited harvest period this year, which has been imposed by the government to curb illegal harvesting. This will take place between June 15th and August 15th. With demand being fairly consistent it is thought that the lack of a spring harvest may result in a backlog of requirements once new season material is available. It is too early to suggest the quality of yields. Markets have been a little more stable in recent weeks as we await the start of the new season. The focus again will be on the quality of the material available rather than price with limited desired quality material expected once again. New harvests started in May and early indications suggest an average season. As we know, this is a different quality from the Russian material and can demand a premium price. There are a few mixed reports suggesting prices are set to increase into the new season although this is yet to be the case as demand was fairly flat for the past couple of months. The new season will start during May and in the coming weeks the situation will become clearer. For the past few months prices have been jumping around the lower regions for this product as there is plenty of surplus material from the 2014 crop. As the new season approaches you may see prices fall once again as this one remains a buyer’s market. Conditions appear to have been favourable suggesting a reasonable crop but much can change in the last few weeks prior to harvesting beginning in late June. The additional material planted last year should bring some welcome relief to the market after last year’s disappointing yields and qualities. 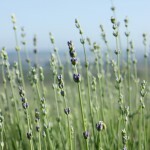 Production is likely to start early June and at present the crop looks to be in a good condition. Much of the harvest is produced to order so now would be a good time to start forward planning. The conditions throughout the winter and early spring have not brought about any reasons for concern about this year’s crops. As previously reported, we understand that some additional planting will bring about an extra 2-3 MT of oil this year should the conditions remain favourable between now and August. During 2014 France produced around 8 MT of oil and this year could produce over 10 MT. This will bring some relief to the market which typically is under supplied, although it is not expected to help prices reduce but rather help encourage greater use instead. As with all French lavandin oils at the moment, material is scarce in the market and we wait with anticipation a little closer to August when we will know how the crops are likely to be. No change from our last report as we are very much off-season at the moment. Thankfully, the plantations survived the winter elements and there is optimism for a good, healthy crop later in the year. Until then, markets remain firm with very limited volumes available. There is no reason for concern after the winter period and we are optimistic that conditions will remain favourable until the harvest in August. Until then there is no material available in the market. Planting is now complete (late April) and is much smaller than in previous years. 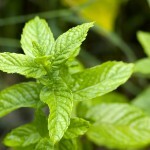 It is anticipated that India will produce around 35% less Mentha arvensis in 2015 compared with 2014. With some surplus stocks still available prices remain weak, as demand has been significantly reduced, especially for the production of menthol now that synthetic menthol alternatives flood the market. Demand and supply remain balanced but firm as farmers struggle to get on top of market requirements. This is not likely to change, which will ensure prices remain relatively firm for this product. 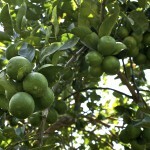 Indian lime has been generating much interest in recent weeks as a long-term alternative source of oil. As the largest fresh fruit producer in the world and being free of HLB, India has a great platform in which to establish a future oil production business. Today the volumes remain modest but reasonable with a little material currently available for those interested buyers. The market remains stable or has a slight downward tendency depending on what you are paying. The last crop earlier in the year was healthy and it is expected that India will produce around 90 MT of oil this year – a little more than last year’s exports. With some carryover stocks, supply coming into the new season should not be an issue, which will in turn keep prices weak. A delay in planting due to poor weather conditions is resulting in both a loss of yields and a delay in harvesting. Usually at this time we would have a good assessment of crop conditions but these will only come towards the end of May (some 20 days late). Expect fresh oil in June but with an estimated 35% loss in production also expect price to possibly rise. It is hoped the yields from this year’s crop are healthy, as demand remains firm for this oil despite a 40% increase in production last year. We will see the net results of this later in June after the first harvest. There has been some fresh demand from the market in recent weeks but at this stage supply is in line with this and the market remains well balanced. Supply is good at present and citronella looks to be a good buy from Indonesia at the moment, especially with Chinese prices rising. The market has realised this and it is expected that sales in May and June will be strong so it is recommended to book as soon as possible. There has been some recent pressure on raw material supplies as persistent rains have restricted collection in recent weeks. Additionally the recent fluctuations in exchange rates are causing price changes sometimes daily. Overall the market remains relatively stable but an increase in demand could easily see prices start to rise. A similar story to that of recent months – demand is firm and raw material supplies are not easily available. Prices are steady for the moment but if and when raw materials become available it is certainly a seller’s market. It appears the on-going weekly price crashes are over and in recent weeks the market has become more stable. At what price levels everyone remains comfortable with for future supplies is not yet known. It is known that many buyers had delayed new purchases in order to see how far the markets could fall but it now appears that more people are starting to invest in stocks much to the relief of many producers. We believe that whilst buyers and end-users have enjoyed the sudden price decrease the market is in an unhealthy position and buyers should remain vigilant when it comes to what qualities they buy and in the long-term relationships with their suppliers. As we have been continuing to report over the past year this is becoming a two speed market when it comes to just this one product. 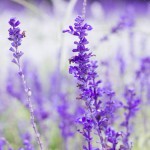 Whilst on the face of it prices continue to bounce around (as we so often expect with patchouli), it does depend dramatically on what quality and origin you are accustomed too. In recent weeks the market has been very strong with big demand coming from all corners of the world. Currency fluctuations and supply issues from both Sumatra and Sulawesi have contributed to the yo-yo effect on prices and over the past month the price trend has certainly been upwards. This is expected to continue as the major producers are at full capacity and we should remember that any low prices heard in the market are likely to be for low PA and high acid material. As previously reported, the market is used to a more refined grade of oil and as such more and more costly processing is required to produce today’s market standards since the natural standards derived from a single steam distillation process (in particular from Sulawesi material) are simply not good enough. We would encourage all buyers to consider their next few months’ requirements and stay ahead of their usual demand patterns in case any additional pressure comes into play. Here’s another reminder to read our publication on Patchouli Migration to understand better some of the dynamics affecting this product. Local prices have increased strongly in recent weeks as demand is exceeding what can be physically supplied. Yields have decreased dramatically over the last few months meaning that farmers are looking for a much higher price to compensate for this loss, while at the same time demand is at its all time highest. Market prices USD 180.00 | 195.00 | 220.00 /kilo Crude | Rectified |M.D. The heavy rains over recent months have resulted in an estimated 30% reduction in fresh lemon fruits, which has a direct impact on the quantity processed. Since November and into the first quarter of 2015 Italian prices have led the market but this recent disappointment is likely to readdress the balance in global market prices. Today the Italians supply the higher priced material but this is not unfair given that it is regarded as the best quality. Demand remains firm despite recent price pressures and this is not expected to change in the near future. The combination of the wet winter and the hot spring has severely damaged crop expectations for this season. Previous estimates of a 30% reduction have further decreased in recent weeks as the full extent of the damage was realised. In February it rained for 22 days and in March for 13 days. During this time, harvesting stopped and therefore supplies to the market were cut. This started to add some pressure to the supply and demand situation. Then followed a period of hot weather and the net result was many rotten oranges falling to the ground. Many processors are struggling to fulfil consignments and as a result others are reluctant to take on new business. Today prices remain firm and rising. The situation for Key Limes in Mexico has been finely balanced for many months with limited movement on export prices. Still suffering from the HLB (Greening) effects, Mexico’s fresh fruit output has been reduced over the last year as they struggle to keep on top of global demand. Further complicating effects occurred during early April when many regions were hit by heavy storms, some reportedly considered the worst for 40 years! Demand also shows no signs of slowing as consumer products look to add more oil into their lines, especially in the beverage sector. It is also thought that there are less than usual amounts of material in the overall supply chain as many resisted carrying too much stock over the past year. Overall supplies remain steady, prices stable but firm and the recommendation is to ensure sufficient cover as it is unlikely that prices will fall soon. No changes. No availability at present and production from the next harvest is expected from August onwards. It is important to plan ahead as there is usually very little surplus material available after production since most is pre-sold. Production was completed in March and the season was deemed disappointing after a 20% loss in yields due to unfavourable weather conditions over the winter months. Total output from the Terai Region is estimated around 400 kilos. Prices are expected to remain stable despite the lower output, as demand is weak. Neroli harvesting and production is now complete with similar quantities as last year seemingly produced. Unfortunately a large proportion of this harvest is already committed to buyers who had been waiting in anticipation, leaving market prices firm with the possibility of increasing further. There are continuing pressures on availability, which show no signs of relenting in the near future. Our advice is to plan ahead to ensure you are on the list to get supplied as and when material becomes available. Production has increased after the summer months and supplies are back to normal. There are stocks at origin and therefore availability is good and should stay this way for the foreseeable future despite strong market demand. The message from Paraguay remains the same. Low availability and high demand are causing major supply issues and prices to rise. It is not expected to improve soon, although a little more harvesting and production has been seen in recent weeks. It will take a reasonable amount of time to rebalance the markets even if supplies continue to slowly increase. It is still a little early to anticipate the results of this summer’s harvest but the plants survived the mild winter so it is not expected to be any less than last year. That said 2014 was a disappointing season as around 20% of oil yields were lost due to the early strong heat before harvesting. Hopefully there will be no repeat this year and volumes should recover. Today the market is short of material with limited supplies still available from last year. Even after a good season it is not expected that prices will drop dramatically as it will depend more on the global supply situation rather than just that of Russia. There are still some remaining stocks in the market from the 2014 season suggesting that demand is a little lower than usual. That said, as most oil is produced to demand, we could quickly see the markets re-balanced in a few months. The next harvest in Russia is expected to commence in July, when it is expected that price may soften slightly. The market is looking a little more complex at the moment. As we have seen, demand has been high all year, with oil supplies struggling to keep up, causing prices to remain firm. Despite this apparent demand there is known to be raw material seed reserves still available from 2014 but due to localised complexities this has not been distilled for oil. The overall picture for 2015 is still a little early to fully assess. Positively the winter months have been kind and the wet spring is making the crops look particularly healthy for this time of year. Additional plantings last year should also help the supply situation as all the growing areas in Southern Russia, Ukraine and Crimea invested in new plantations. On the negative side, the wet spring has restricted the use of herbicides and the net result could mean more weeds contaminating and influencing the harvest when it arrives in July / August. The full impact of this will not be seen for another couple of months. 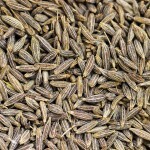 Additionally, we have seen a strong demand coming from the fresh seed market, especially from India. Demand is growing globally so it will be interesting to see whether the expected additional crops will compensate for the growing demand and bring some much needed stability to the oil market. Today the market remains firm. It appears to be an annual event over recent years where Russia / Ukraine report on some sort of ‘condition’ that leads to a shortage in crop expectations. Sadly this year would seem to be no different. After a mild winter, just two days of frosts coming during early spring has damaged the crop significantly. This will ensure that 2015 remains a low production year with no more oil expected to be produced than in 2014. Collections have been very slow over the past months, as labour issues in key harvesting areas remain challenging. It is hard to see at this stage how and when this is likely to recover. As a result supply remain tights and prices firm. The 2015 harvest has started although some 2014 oil volumes still remain available. It is expected that South Africa again will have a good year with expectations that 60,000 MT of fruit will be sent for processing. 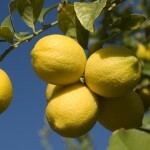 Today South African lemon oil prices remain stable. Some 2015 production has started early but will intensify over the next few months. To date, expectations are for a similar year to that of last year when we saw production volumes higher than usual. Supply has been modestly good over the last season as late rains allowed for a longer flowering period. Demand has been firm in recent months but prices have remained at the same levels as they ended 2014. The winter ‘Fino’ and ‘Primafiori’ seasons have now officially ended with the summer ‘Verna’ season now underway. The closing figures from the winter season show a 9% growth against 2014 figures with production of fresh lemons reaching 780,000 MT. Whilst this is good news the same cannot be said for the oil market. European demand for fresh lemons have been high which has kept fruit prices high with little or none of this growth heading down the processing line. As a result, this has kept pressure on the oil markets and prices relatively firm. The new season of ‘Verna’ lemons is also expected to be good with early estimates calculated at 300,000 MT over the next 3 months. Oil prices are expected to remain stable but firm over the coming months. The U.S. Department of Agriculture (USDA) has revised down earlier expectations on the state of the Florida grapefruit crop by 2 million boxes. Earlier expectations had suggested figures of 15 million boxes but as a result of the reassessment have been revised to 13 million boxes. 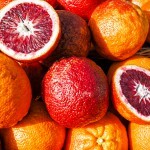 In late March we heard that around 58% of coloured grapefruit has been harvested and around 39% of white grapefruit. Prices locally are firming. A review by the USDA in April concluded that there would be no further revisions to those already amended on several occasions this year, which remains at 102 million boxes, around a 5% reduction in output. Valencia output is at 55 million boxes and non-Valencia 47 million boxes. The big problem for oil buyers is the low aldehyde content, which on average is under 1% and as low as 0.8% from some batches. This sort of low aldehyde level is extremely rare. Prices in Florida, as they are throughout the global market, are firming on what appears to be a very difficult year for the orange oil industry.